Overland Park, KS, November 10, 2015 – Bluewater will demonstrate its leadership role in delivering transformational point-of-use water delivery solutions for home and commercial use at the KBIS 2015 trade show running January 19 – 21, 2016, in Las Vegas, Nevada. Highlights on the Bluewater stand N1475 will include a fully re-designed water purifier product portfolio and demonstrations of how Bluewater is exploring ways to move its residential water purifying solutions into the ‘Internet of Things’. “Bluewater has evolved rapidly into a major brand and leader in the global water purifier marketplace since the company launched just two years ago, with strong sales today in Europe and fast growing footprints in the USA and China,” said Niclas Wullt, Bluewater Managing Director. 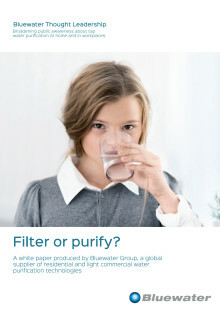 Mr. Wullt said Bluewater is fully geared to meet the growing inadequacies in the planet’s urban water supply systems, ranging from increased pollution by pharmaceutical, agricultural fertilizer and other compounds to fast ageing, nineteenth century municipal residential water treatment and delivery infrastructures. 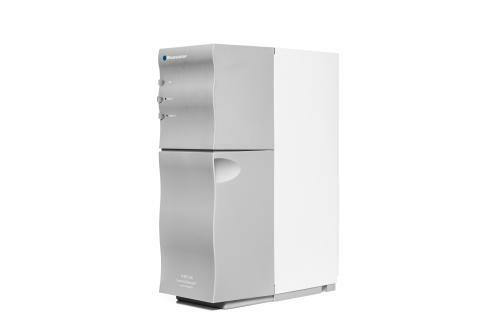 Bluewater’s Spirit and Pro water purifiers harnesses patented second-generation reverse osmosis technology called SuperiorOsmosis™, which reduces the water wastage associated with traditional reverse osmosis systems by up to 82 percent. Innovated at Bluewater’s hi tech laboratories in the Jonkoping Science Park, central Sweden, the technology enables Bluewater to purify and deliver tap water faster, on demand and at a higher purification grade, removing the most dangerous substances such as chlorine, organic contaminants, viruses, medical residues such as hormones, particles, lead, arsenic, and toxic metal. “Over 80 percent of the U.S. population today lives in towns and cities, a global trend that already has resulted in over half of the total global population inhabiting urban areas. 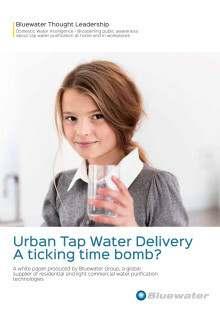 Such unprecedented urban population growth places near-insurmountable pressure on urban water systems, which means citizens concerned about their health and wellbeing must seek their own point-of-use solutions such as those delivered by Bluewater,” said Niclas Wullt. WHO says just one-third of the world’s fresh water can be used for human needs due to ‘increased pollution from municipal and industrial waste and the leaching of fertilizers and pesticides in agriculture’. In the USA, as much as 30 percent of pipes in systems that deliver water to over 100,000 people are between 40 to 80 years old, according to the Environmental Protection Agency (EPA). About 10 percent are even older. The U.S. Water Quality Association (WQA) says ‘water that leaves the treatment facility can become contaminated by the time it shows up at your tap’. The WQA view is supported by Consumer Reports that says ‘dangerous contaminants such as lead, chloroform, arsenic, nitrate, radon, and E. coli bacteria are common in tap water’. Sold in major markets around the world, Bluewater SuperiorOsmosis ™ patented technology delivers on-demand cleaner, healthier water direct from the tap. Innovated with love in Sweden, Bluewater water purifiers improve user quality of life, health and wellbeing by removing practically all known contamination from drinking water, including micro-organisms, pesticides, heavy metals and toxins.